Are you becoming agitated and irritable when your child won’t listen? When you’re out, are others noticing her behavior? Many times a child is called “stubborn”or “bad,” when there IS a real problem. Many teachers or even parents label a young child as “difficult” or as a behavior problem when the real problem is, he doesn’t understand and process language as well as other children his age. This happens often when children achieve their milestones on the late end of the expected developmental ranges. And this is always the case for toddlers who have been diagnosed with developmental delays and other issues such as autism spectrum disorder, sensory processing disorder, Down syndrome, cerebral palsy, or who were born prematurely. Because of these delays, whether mild or severe, all of these children have trouble understanding what’s expected of them. This makes it even more difficult to know how to discipline them or even determine what’s appropriate to try. There are lots of very practical ways to work on these skills at home. You can learn simple, but effective strategies for improving the way a child understands language so that he can begin to obey. There’s finally a DVD series that will teach you EXACTLY how to help your child learn to understand your words and learn to obey your instructions. 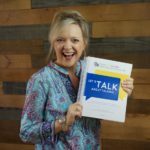 It’s called Teach Me To Listen and Obey, and it was developed by Laura Mize, pediatric speech-language pathologist and author of the website teachmetotalk.com. 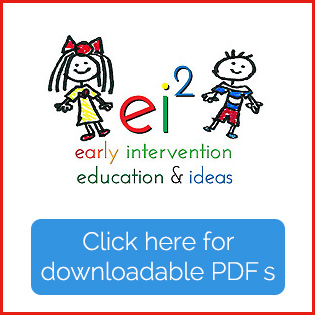 There’s so much information that it’s been split it into a 2 part DVD series to address specific developmental phases and disciplinary approaches for both toddlers and preschoolers. Both DVDs focus on helping parents, and even professionals, teach receptive language skills, or improving the way a child understands and comprehends language. Teach Me To Listen and Obey takes the camera inside real therapy sessions with children just like yours. Whatever stage you child is at – whether you’re just wondering if there’s a problem and want to try to address it at home, or if you’ve already seen a professional and your child has been diagnosed with a developmental delay – you’ll see all kinds of children with various abilities and at different stages. Save $$ when you buy the 3 DVD Set – Teach Me To Talk and Teach Me To Listen and Obey 1 & 2. For easy ordering and for a special discounted rate, order here. To purchase Teach Me To Listen and Obey 1, click this BUY NOW button. For Teach Me To Listen and Obey 2, click this BUY NOW button. Clip from Teach Me To Listen and Obey 2…………. Teach Me To Listen and Obey 1 is a packed hour-long DVD that teaches parents how to help younger toddlers, and even older preschool children with developmental delays, learn to understand words and follow basic directions. Buy the entire set and you’ll get a full 3 hours of instruction to help you teach your child to understand new words, consistently follow your directions, AND you’ll learn what to do about it when this doesn’t happen. See more from the discipline section of Teach Me To Listen and Obey 2…..
It’s hard to discipline ANY toddler, but when you’re considering your options for a toddler with developmental delays, it’s especially challenging. Refusing to do what you’ve asked? There’s even an entire section on how to use time out for toddlers with developmental challenges. If your child is not learning to understand new words and does not follow your directions, you need to change your approach. Learn what works to be able to teach your toddler or preschooler to listen and follow through. Learn what works to be able to teach your toddler or preschooler to listen and obey. Much of the time, it’s not what you do, but HOW you do it. Teach Me To Listen and Obey 1 and 2 will show you how to teach your child in an easy, step-by-step format, that you can easily implement at home. In Teach Me To Listen and Obey 1, you’ll learn what things your child must do first so that he can begin to understand words. You’ll also learn the background information you need to decide if there’s a real problem. Thisincludes the definition of receptive language,the early signs and symptoms of a receptive language disorder, and you’ll see a review the basic receptive language milestones for toddlers and preschool children between 1 and 4. You’ll learn simple ways to cue your child, and an EASY tag line to help you remember what to do! You’ll be able to use these techniques during play and during your daily routines at home to provide a strong foundation for comprehension and communication skills. During Teach Me To Listen and Obey 2 you’ll see demonstrations of teaching children how to understand?the major language comprehension?milestones for children ages 2 to 4. This includes learning to understand verbs, prepositions, adjectives, pronouns, and other concepts such as size, categories, parts of an object, object functions, quantity, and making inferences. You’ll also find out what’s NOT important to teach your child at this phase of language development so that you can use your time efficiently and wisely. You’ll learn how to design “games” for teaching young children to listen and follow directions, and you’ll get ideas for involving siblings at home. Here’s an example………. SPECIAL OFFER – Save $15 when you order the DVDs as a set here. Buy the entire set, you’ll get 3 full hours of instruction to help you teach your child to understand new words and follow your directions. Order your set now! Save even more when you combine this set with the best-selling DVD Teach Me To Talk the DVD. 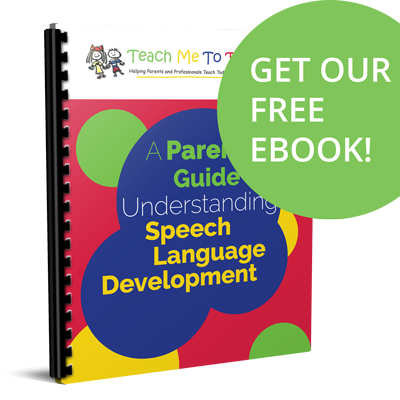 If your child isn’t talking and is having difficulty understanding, then this is the recommended set for you! Choose the 3 DVD set and receive Teach Me To Talk the DVD and Teach Me To Listen and Obey 1 & 2 for $84.99. Save now here! ← Teach Me To Listen and Obey 1 and 2 are NOW Available! thanks so much i already have the teach me to talk dvd and i love it! i live on an island and i have to travel by boat or plane to get my son to the speech therapist; he only sees her once a month and i do the rest at home. the website and dvd has helped me in so many ways it has really helped me learn alot about language and how to get my little guy to use it. i will indeed give the dvd to some one else. i have already shared the one i have. thanks laura you amazing!!! God has blessed you with a big heart and a special talent!! Carol – My contact in Atlanta hasn’t responded, so sorry about that! If any reader is in Atlanta with good resources, please chime in! Secondly – since I can’t see your little girl, I really can’t adequately answer your question. How long have you been in therapy? She is still pretty young, and actually is in what I think is one the most difficult developmental age ranges at 21-24 months. You’re already seeing someone twice weekly AND you sound really committed to doing things with her at home, so I’d give it a little while longer, at least a couple of months, before you try to make huge changes to your game plan. Thanks for your insight and encouragement. Yes, my SLP thinks 2 times a week is enough at this point, but it is just so hard to know if that is right when I get input from other moms that the more therapy the earlier the better and some of them are doing 5 times a week (which we can’t really afford but we would do anything for our little girl if it would help). Anyways, there is definitely changes and improvement…..it is just sometimes it is slower than others and sometimes I just wonder if we are getting too far behind and need more therapy. But, for instance, at 17 months the only word she ever said was “yeah” in response to a question. At 18 months she finally did “mommy” and “mama” and it was about 2 months ago she finally started doing “dada” and “daddy” which I thought she would never do since she had never even babbled a “d”. But she has over 50 words now that we know she definitely knows what she is saying when she says it but she says most of them incorrectly because there seem to be so very many consonants she can’t say (she does much better with vowels). She’s never even babbled or tried to make a “G” or “K/C” sound. Anyway, if I look back 4 months ago there is huge progress. But if I look at where she should be and our roadblocks I get to wondering if we should be doing more. I think our therapist is good but I just don’t know how to benchmark this so that is where I am stuck. I just wish there was something like an apraxia clinic where I could take her every 6 months and just get a professional opinion on if she is making reasonable progress with the route we are going or if we need to change routes. There seem to be just so many different paths you can take and it’s just hard to evaluate if we are on the right one. Anyway, thanks so much for your help. I REALLY appreciate it and your encouragement! p.s. she has been in therapy about 4 1/2 months. Carol – That sounds like good progress to me! Hang in there! And while listening to other mothers is a good thing for support, sometimes it’s not so good when it comes to making treatment decisions, since their situations may be totally different from your own. Keep listening to your instincts. AND keep up the good work at home because that’s what will truly make a difference for her! Thanks, Laura. It is good to bounce it off of you and have you say you think it sounds like good progress. And that is a good comment about listening to other mothers about treatment decisions. Hi Laura, I’m the mother of a 23-month old little girl and a 9-month old little boy. My daughter is delayed in language – she only says “mamma” and “dadda” and the rest is babbling. I ordered all three of your dvds because I’m anxious to try anything to help her language development. I’m already working with the state’s early-intervention program for developmentally delayed children (called Tiny-K here in Kansas), my daughter has speech pathologists coming to our home once a week, and I’m a member of Parents As Teachers. I’ve also had her hearing checked and it was normal. I’m just baffled by what is going on in her head and thought maybe you could shed some light. It just seems like she doesn’t want to learn to communicate. I know the chances of that are probably slim for her age but anytime I play with her she enjoys herself until I start asking her to do signs with me and then the tantrum starts. Yesterday I got out some M&M’s (her favorite) and helped her with hand-over-hand do the sign for “more” about 5-6 times rewarding her with an M&M each time and then (of course in a playful way) tried to see if she would do the sign by herself (she has done the sign before but I decided it would be best to start from scratch on her learning since her using signs is sporadic) and she threw a tantrum. Everytime I try to do signs with her or encourage her to try new sounds it turns into her rolling on the floor crying and screaming, running away and avoiding me altogether, or raising her hand and hitting (course it’s not hard) me in the face. She’ll behave this way when the speech pathologists try to work with her too. She’s fine playing with me and other people but once we start trying to sneak signs or saying sounds into it she does what I described above. I’m sorry this is so long and I know it’s difficult for you to give your judgements without actually meeting her but since you seem to have experienced a great deal of different cases maybe you could give me advice or suggestions on what’s going on and how to keep this from being a battle of the wills. Thank you so much! Krystle – First of all, thanks for your question. Let me tell you that I have worked with children like this, and it can be AWFUL for parents, and very hard for me too (but I get to leave after the hour, and they don’t!). Let me also add that what you’ve described is an extreme reaction. These kinds of over-the-top reactions are usually related to sensory processing differences, but they could be behaviorally-based too because she’s just so frustated, especially considering that she’s in the very difficult 21-24 month age range. Please continue to discuss this with your EI team and problem solve together for her. If they feel like you need to call in an OT or a pediatric psychologist to help you, then do it. I will tell you that I have tried several different approaches for this kind of situation, but my first recommendation is by far the most successful. First, I always try to “ratchet it up” a notch or two (or six if it takes it!) with my level of animation and playfulness with kids like this. If you’ve gotten the DVDs, you’ll hear me talk about this and see this on Teach Me To Talk as well as the other ones too. I constantly talk about this on the podcat too. This approach usually works because it takes the pressure off the child. If she doesn’t respond to this heightened level of engagement with more positive participation, then try the next one. Sometimes I recommend that for children who have become sooooo negative about signing or talking that parents try short and frequent play, play, play sessions without ANY demands several times a day for a few weeks. This re-establishes the fun connection without driving her away. Heavily resist the urge to sneak in a request for a word or sign during this time so that she can trust that you’re just having fun. Once you’ve re-established this connection, THEN move to very easy models of actions for her to imitate with no demands for a response in the context of a game or play. In play it would be you feed the baby doll, then she feeds the baby doll. You make baby jump, so she makes her baby jump. In a game, this could be you clap, so she claps. You stomp, so she stomps. You pat the floor, so she pats the floor. You may have to have Dad or your SLP copy you so she “gets” the game part. Again – no reprimands if she doesn’t do it, just lavish praise and hugs and tickles (if she likes these things!) when she does. Again -do these things to Dad when he repeats what you do so she gets the idea that the fun is coming if she does what you do! Once you’ve done this “copy” game for several times a day for several days, or even a couple of weeks, THEN move to silly sounds like animal sounds. Pretending to be a puppy and panting or pretending to be a kitty and licking (the air – not the floor or furniture or people!) are also ones many toddlers will try before they even realize what they’re doing. Other good ones are pretending to be a baby and crying or a car and do a car sound or a beep-beep. Keep it so focused on FUN that she doesn’t catch on that’s she’s imitating mouth movements or sounds. If she can’t/won’t do the sounds yet, just keep it to actions. I think I wrote an article about imitating lots of these kinds of these things early last year, so check the archives for additional ideas. It’s called something like Help My Child Won’t Imitate Words – Begin with Actions and Sounds. If these things don’t work, then some parents and therapists resort to a more behavioral approach, but I hardly ever, ever, ever go there. This might mean putting her in a high chair, requesting the sign and waiting, turning away to “ignore” any negative behaviors, and then trying again with the prompt for a sign with her “reward” once she finally does it. I think playfulness is usually much more effective with a child who is pretty bent of shape already. She may also be able to outlast you in this situation and then become totally balistic when you even begin this the next day, so I’d use it only as a very last, last, last resort several weeks from now if nothing else works. Some moms do report that they can draw a line in the sand and “make” child get over the hump with an approach like this, but I have had very little success with this method myself and would only do this as an absolute last approach before I decided to throw in the towel and wait her out a few more weeks before trying again. The other thing I’d try if these ideas don’t work after a few weeks is some simple picture exchange stuff. Look up my article on PECS (Picture Exchange Communication System) for ideas. Thank you so much for your reply Laura! I will give your suggestions a try and I’m relieved to know I’m not the only parent whose child has responded to signs the way my Hannah does. I will keep you posted on her progress! Thank you so much again! I am chiming in on this thread because my kids do a similar thing. The difference is that they are 13 months old (full term twin boys)and they don’t imitate gestures too well. My oldest twin picked up the sign for “more” and uses that while at the dinner table but hasn’t pointed or waved yet. i model these things everyday to the both of them and I help them do these things as well but they get mad at me if i model for too long or make them do it for too long. It slik ethey are resisting the communication. My youngest has been evaluated and my oldest (they are a m inute apart!) will be evaluated next week by an ST and OT. My yougest was diagnosed with a 5 month receptive and expressive delay which is equal to an 8 month old. I am scared and concerned and wondering if he will ever catch up or if this is just the 1st sign of bad things to come. Hos bother will probably get the same diagnosis but maybe not 5 months delayed, maybe only 3 or 4. They are both walking and both engage with me and eachother. Great eye contact, smiles, very social, answer to their name most of the time. The youngest one not as much – he can get sidetracked and tune me out (or maybe that’s just part of his receptive delay). Anyway, I am taking your adive in your previous post and I am going to play with them under no ressure. If I model and they ignore me, I will drop it and move on. No matter how sad and frustrated I get. What else can I do at home to help their understnading? Hi, I have a 23 month old boy who is speech delayed. I read Krystle’s post about her 23 month old daughter and that very accurately describes my son. He is getting better with complying when you want him to do something, like pointing at pictures in books with the SLP. He’s come along way in alot of ways in the 2.5 months he’s been in speech- ie he would not even sit to read a book and now he’s going and getting them, looking at them and asking to be read to with no resistance. I had him evaluated by an OT who specializes in Sensory issues and I have a home program to do with brushing, joint compressions, heavy work etc. However, he seemed to start improving on his own because at the beginning I wasn’t doing the full program. Now the SLP says she’s not seeing the progress she wants, feels like he’s kind of stagnating as he’s still not repeating sounds and does not want to repeat non verbal things either all the time. The problem is he will sometimes repeat when you want but the majority of times he won’t. The other day he heard the word “eight” on TV and repeated it. I was thinking he might have selective mutism too but I know it is rare. Any ideas to get him repeating or what to do when you hit a road block in therapy? Amy – Read the ideas I suggested to Krystle and the articles I recommended for ideas. Hope these help, but then again, I’d really emphasize the play, play, play part. If he only responds when he’s not directly under pressure, then you’ll have to create the illusion of no pressure when you’re playing with him, but still indirectly targeting vocalizations. Don’t throw in the towel with speech after just 2 1/2 months – that’s when I feel like I’m just getting started with a kid!!! When you know things that work with him, share the tip with your SLP so she can duplicate these activities in her sessions. And another hint – books are many times NOT the way to go to stimulate sounds in a toddler. I’ll go back to my earlier advice to play, play, play and that means with toys. I’d also really incorporate movement games into your play times too. Listen to podcast #21 for these ideas. I have a 5 year old son who turns 6 in September and will be attending Kindergarten in the fall. My son has recently been diagnosed with below average receptive language and average expessive language. My son attends an integrated preschool progam and sees an SLP 2x per week and an OT 1x per week for fine motor skills. My husband and I are seeing steady pogress in all areas but one, our son has real problems with understanding “why” questions, for example when shown a picture of a baby crying and asked “why is the baby crying” his response was “because the mommy is coming” I wanted to know if you feel my son is too old to benefit from your dvd’s and which one you would reccomend if you feel he could still benefit, he also still has some difficulties with 3 step directions and social conversations but has come such a long way since age 2 which is when he started working with an SLP for speech and language. Although our son has his bad days here and there his behavior is great and he is a delightful and happy little boy. Any input from you would be greatly appreciated. My son is 32 months and has a severe receptive & moderate expressive delay. Which DVD’s would you recommend. He uses many single words – he just doesn’t use more than two words at a time. The only time he uses more than two words at a time is when he’s quoting something that he’s seen from a tv show. Also – I went to buy the two Teach Me To Obey and Listen DVD’s – but when I entered the coupon code INTRO SET it said it was incorrect. I love your website. Thank you so much for compiling all of this information. I have a 19 month old daughter who has said 15 words, but most of them (13) only once and then they just go away. She started talking early-ish (10 mths), but hasn’t really progressed. She also has some issues groping for the correct mouth position. She does not imitate words, although she seems to store them and use them correctly, although only once. She hit all of her physical milestones early. She has been found to be “years ahead” with her cognitive development, and she knows (and uses) 31 signs so I think speech is her only issue. I took her for an evaluation with a SLP who thought she exhibited some signs of Apraxia. She would not diagnose her with Apraxia because of her young age. I completely understand this. My question is this: Do these issues (words disappearing/silently groping for words) occur in normal speech development? Do they always point toward Apraxia? Do children with Apraxia generally end up with the ability to produce “normal” speech? Also, I had an undefined speech impairment as a child. Are Speech issues typically genetic? Thank you so much. I am looking forward to using the concepts in your DVD with my daughter. I’ve just stumbled upon your website today and have been looking through the information for only an hour or so. I think my best course of action right now is to give you my specific situation. Our son is 34 months old and is having some difficulty with expressive language. He has a pretty large vocabulary (although that’s taken some time) and most of it is understandable as of the past several months. We had him evaluated at age 2 (through the state) and they did qualify him, although they said it was not a major delay. At that time, he wasn’t saying nearly as much as he is now and at least half of it wasn’t understandable by others. He’s come a long way since then. We ended up stopping services because we had another baby and were very busy (and I wish we hadn’t done that) and they are now coming to evaluate him again next week. We are also considering private therapy. Now, here’s our specific concerns. 1. He doesn’t respond to many direct questions asked of him. Therefore, it’s difficult to have a conversation with him. If asked things such as, “How are you today?” or “Is that banana good?” or “Do you want to go to play at the gym?” he usually won’t respond. 2. He doesn’t often participate in group activities with other kids. He will play with kids his age, and even older as he has a 4 yr. old sister. He has a cousin his age he plays very well with. In a school or play environment with other kids, he won’t participate. If the room full of kids are all playing with balloons, he will opt to jump on the trampoline by himself and whine if I bring him over to the other kids and try to get him interested. 3. Although most individual words are clearly said, when he tries to say too much, most of it sounds like jargon. On the other hand, about a week ago, out of the blue, he just started saying to us, “I’m happy to see you Mommy or Daddy!” He can say 5 or 6 word sentences fairly well but if he tries to do more than that it isn’t clear what he’s saying. We’d like him to start preschool in the Fall and are concerned about how these things will affect his experience there. If the teachers ask him to do something, he needs to be able to respond appropriately. If they are sitting down to circle time, for example, he needs to participate. I know you can only offer so much having never seen him but I’d really like some input. I’ve watched some of the clips from your DVDs and it seems as though this program could help him. Wow, raechal, your daughter and my son sound a lot alike. He is way ahead in cognotive development, too, but WAY behind in speech. He has about 25 (or so) signs. Sometimes when you ask him to say something, he just looks at your mouth and moves his mouth around like he can’t figure out how to make his mouth do that. Laura, if you don’t mind, I am interested in your answers to her questions. I can’t believe I found this website. I don’t have a lot of extra money right now, so I can’t get the dvds but I am going to take what I can from other things I find here and do that. Jana – Words disappearing also appear in the histories of children go on to be diagnosed with autism, so apraxia is not the only diagnosis where we see this. Losing words is not a part of typical language development. In children with normal language, they may use a word often for a while and then not as much, but it’s not that they “can’t” say it when the situation presents itself for them to use the word. Silent groping is usually only associated with apraxia and not a part of typical speech development. Many children who were diagnosed with apraxia go on have speech that sounds perfectly normal. Unfortunately some children will struggle with speech for a while, and a smaller percentage will have difficulty their entire lives. I have a family history of apraxia so many people in my family sound “funny” even as adults, but they are very functional communicators. They lead normal lives, and no one but an overly analytical SLP would give it a second thought. No one can tell you how your 22 month old is going to sound, but generally, children who begin treatment early and who have parents who are committed to doing the work at home certainly fare better than they would with no treatment at all. I’ve seen children who were diagnosed by other SLPs who told their parents that they wouldn’t be “normal” until middle school who sounded pretty darn good even by ages 3 or 4. I’ve seen some children that I hoped would respond well to treatment who were still very delayed (really – “disordered”) at 5 and beyond. SLPs don’t have a crystal ball, so we can make some general prognostic statements, but truly, only time will tell. Laura, thank you for your response….this site has helped me by informing me of some things i didn’t know, and has backed me up on some things that just ‘felt’ right. (Like giving the drink-or whatever- to Jakob even when he doesn’t sign ‘drink’ after asking him to do it 3-5 times…it never seemed right to not give it to him, even though it makes sense that he’s not going to learn it if you don’t “make” him say it. I also didn’t realize to try for words, and not sounds. It makes sense to do sounds since they are the building blocks of words….just like you do words before sentences. Anyway, I’m having a hard time figuring out how “serious” to take this delay. I’m a mellow ‘wait-and-see” personality. But now I am afraid that I should have taken action much sooner. I knew there was a delay back at 12 months when he wasn’t saying even one word. But I let it go, and when I brought it up at Jakob’s 18 month well check, his doctor said to wait until he turns two and now I am kicking myself that I didn’t refer him sooner. Oh well, i can’t go back and we’ve started speech therapy (tomorrow’s our first session). Luckily his receptive language is great, so here’s hoping we can get his expressive up to where it needs to be. Thanks again for your time, and I hope you feel better soon. Wendy – Thanks for your great questions. Don’t beat yourself up too much for stopping services since it sounds like you have had a very full plate! It sounds like he has a couple of different issues going on. You’ve talked a lot about his expressive language, but some of the things you’re saying about him also may indicate a receptive language or processing problem. Many times not answering questions or having a conversation is related to not understanding the question, rather than a true expressive language problem. During his next assessment you’ll want to ask the SLP specifically about his receptive language skills. Jargon is almost always due to receptive language problems, and is not an expressive language problem. What you’ve said about him learning that long sentence and is now able to say it also leads me to believe he’s learned that sentence “holistically” which also tends to happen with children who have underlying receptive language/auditory processing problems. As far as social skills go, it sounds like he’s fine one on one but has more difficulty in group situations. Preschool will help with that, but so will a caring adult (mommy or a teacher or even an older sibling) during play dates, birthday parties, and other community activities like church. Keep helping him learn how to join in with other children. He likely won’t do this on his own without some careful prodding and encouragement. Sometimes there are sensory issues which appear to be social problems with children. For example, kids go to the periphery in large groups because they’re oversensitive to noise, or being touched unexpectedly by other kids, or are unsure of where their little bodies are in space, so they feel “off balance” unless they are in control of what comes directly into contact with them. An OT can assess for these differences if you’re concerned that’s part of the issue. Please keep in mind that I haven’t SEEN him, so my responses are just based on the info you’ve given me. I’m so glad you’re having him reevaluated and hopefully you’ll get a clearer picture of his needs then. Continuing speech therapy and beginning preschool sound like a great start to treatment for him. Don’t worry that he has too many “delays” to go to preschool, especially a preschool program designed for children with language delays. Explore that possibility with your early intervention team to see what your public schools have to offer in your area. Jana – The reason we work on words with toddlers is that you want to teach them that COMMUNICATION is powerful, so we’re going for the word “more” vs. the sound /m/. Many times toddlers won’t respond with imitating the sound for /m/, but if you ask them to say “more” to get another cookie, it’s worth the effort! It also makes much more sense to them. Apraxia experts want you going for the word instead of individual sounds too since it’s the sequencing of sounds that’s usually more difficult for kids with apraxia, so we want to target the end-result, which is a word, rather than the individual sounds so they don’t get “stuck” in that phase. You’re starting speech today, so hopefully your SLP will be able to discuss this with you more so that it all makes more sense. Hi Laura, I am writing to you as I listen your last week’s podcast. I am so excited that I have found this. I have a degree in education, because I have always liked working with kids, so I automatically went into teaching. BUT, if someone had pointed out all of the different jobs that work with kids, I probably would have chosen speech pathology. So now I get to live vicariously through your podcast. I LOVE working with kids and understanding how they develop and how their minds work. That is my real joy. Anyway, that is not why I am writing this. I am writing, because we just finished our session of ST for today, and am a bit disappointed, because this particular therapist is very young and does not have a lot of experience…so EVERYTHING that she did for the hour was exactly what I have been doing with Jakob on my own. Including trying to get him to say certain sounds instead of words. Man. Now what do I do? She also did something that I think you said was not a good idea, and that is adding a word to a word he already says…for instance: Jakob says “mo” for “more” so she tried to get him to say “More please”. Didn’t you say that was not how speech normally develops? Maybe I should go hunt down what you really said. I tried to let her know that everything she did is what we’ve already been doing. And it’s not helping. And I was trying to brainstorm with her about why could this not be working, and is there something else we could do. But, unfortunately, she took it the wrong way and got defensive and we couldn’t get past that. I’m not sure what to do next. Help. Also, did I mention that she suggested discharging him from service if I thought it wasn’t going to work for him?? On his very first session of ST???? Jana – Well, it doesn’t sound like your first session went so well, and it’s probably not a stretch to say your SLP feels the same way! You two will have to decide if you can get past it and work together. If you are doubting her already, it’s going to be hard for you to trust her and do what she recommends. If she feels like you don’t value her opinion, it’s going to be hard for her to keep coming to your home, and that makes it hard on the both of you, but especially your little boy! I’d probably recommend that you give it a few more sessions to see how it goes. You may need to discuss these differences of opinion outright with her and hear the reasons she’s recommending what she’s recommending. If she decides that she’s not a good match for you and discharges him, you can get someone else. He won’t be discharged from early intervention, just from her caseload. If that happens, talk with your service coordinator about getting someone who has more experience and someone who isn’t as apt to be defensive when a mom questions what/why she’s doing what she’s recommending. I should say, that I didn’t really want to be questioning her professional opinion, I just wanted her to know what we have been doing, since it was her first session. I was HOPING that she would have me show her what we have been doing and try to expand what I am already doing. Because really, since she’s only coming once a week, I’d like to do more the other days of the week. Anyway, I think we can get past it, if she’s willing to work with me, and not just have a ‘cookie cutter’ therapy session. Great website and great shows too. i am glad I found it. i have been listening to your podcasts while waiting for the Listen and Obey dvd to arrive. As I mentioned in one of my earliar post I have a 19 months old son who doesn’t or doesn’t want to understand what we say. He only blabbers. We already have a hearing test (next week ) and speech evaluation (next month) scheduled for him. Meanwhile I am trying to gather more information and trying to find out how to help him. One thing I am concerned that he used to clap before when I sing “If you are happy and you know”. and used to do some other signs as bye 9he used to say bye too) and hifi and now he seems to be not interested in it any more. he still smiles and dance around and stomps his feet when I sing “If you are happy and you know” but doesn’t want to clap any more. he can hum some rhymes and sometimes say eeya eeya o when we sing “Old McDonald”. He keep blabbering mamma mamma but doesn’t call me mamma. Another concern I have is about multiple language exposure. My parents were with me for few months after he was born (who speak a different language same as mine), For another fewmonths my inlaws were with us (who speak a language different than my parents, same as my husband). Than he was with a nanny (who spoke a third language) whom I fired as I found out she was verbally abusive (Used to shout alot and force feed) to my older (3yr old) daughter. Now that i lost trust in my nanny kids are back with in-laws in daytime. I don’t want to send him to daycare because I think he needs more one on one time now. I did not think about the language roller coasters till now because my daughter adopted just fine and she can understand and speak three languages. I am wondering if this language change is disturbing my son’s little mind and if we should do something about it. I would like to know your opinion about it. Anne – Jargon (or blabbering) is most frequently associated with language comprehension or processing problems when it persists in children after age 2. Jargon is also a part of typical language development in children under age 2, which is your son’s age. However, I caution moms that if a child’s speech consists of ONLY jargon without at least imitations of real words after about 15 months, we’d better start to work hard on helping a child link words and give words meaning. Multiple languages are usually not a problem for children with typically developing language (as you’ve noted with your daughter), but a real challenge for children with language delays. I’d recommend picking the primary language he’ll need for school and focusing on that one with him. You’ll need to get everyone on board with this so that you’re all focused on helping him understand familiar words and simple directions. And if you’ve listened to any of my podcasts you’ll hear me say that children learn to use language from adults who care about them and are in tune with them, not from same-age peers, so I fully support your decision about daycare. One-on-one is ALWAYS better, unless of course the adult isn’t making a real effort for whatever reason as you identified with your terrible nanny…. but that’s likely not the case with loving grandparents. I stumbled across your site as I have some concerns about my 31 month old son. He seems to have a very good memory as by the age of 2 he knew the alphabet (he also recognized the letters not just sing the alphabet), can spell some words (after we showed him, like his name or train), can count to 30, can sing some songs word for word, can recite some of his books, word for word, and some of his videos. When someone asks him questions he will repeat either the last couple of words or the whole question (i.e. “Do you want to go outside?” He responds “Go outside?” and “Would you like a snack?” He responds “Would you like a snack?”). My sister actually pointed out that me and my husband (without realizing) will tend to tell him how to answer after he doesn’t initially respond. So, he is just repeating us. However, we can ask him questions like “What is this shape? or “What color is Cookie Monster?” and he will answer the questions correctly even with “It’s a circle” and not just “Circle”. He can tell me when he wants things…”Watch a movie?”…”Get a snack?” but he forms them like questions – not sure if he is asking me or just repeating me from another time when I asked him if he wanted to watch a movie or get a snack. I have phoned my pediatrician with my concerns and we are going in for an appointment to address them. I don’t know if he is on the Autism Spectrum or not or just has a language communication delay. I am welling up as I write this now but I know I will do whatever I need to do for my son. I reviewed some of your video clips for your DVDs and wondered which do you think may help us as an aid to teach our son to answer questions with a yes or no answer and to communicate better? Michelle – Since I can’t SEE him of course I don’t know exactly what’s going on with him, but it does sound like he learns language wholistically. Sometimes children who learn this way have language processing problems and have difficulty learning to understand directions, answer questions, etc…, which can exist alone or be associated with children who do go on to be diagnosed with autism spectrum disorders. As far as my DVDs go, there’s no particular section in any of them about answering questions. A child’s ability to do this is based on how he understands more complex language (meaning answering questions beyond “What’s that?” which only requires that children label.) You’ve said that he identifies some objects/letters, etc…, but think more about how he understands more difficult words like action words, pronouns, prepositions, etc… If he’s not following 2 step or novel directions, Teach Me To Listen and Obey 2 can help you work on teaching him more complex language so that he can understand more language which lays the foundation for answering questions. Thank you so much for your response and your suggestion. We had the appointment with our pediatrician and I pushed for my son to be evaluated by a speech therapist as the doctor didn’t seem overly concerned. I figure that it cannot hurt and I really think it will be helpful for him. We have him scheduled for an appointment/evaluation on Feb 26th. I am also looking into some playgroups and some nursery school programs, as the doctor suggested that it may help my son to be around and interact with children his own age. Thanks again!!! Michelle – I’m glad you’re getting an assessment. If you’re looking for more social opportunities for your child, preschool is a good idea. But just so you and all of our readers know, and at the risk of repeating myself, AND in addition to flying in the face of conventional advice, I’ll reiterate it here. I believe that adults teach children how to communicate, not same-age peers. I wholeheartedly support preschool for children so that they can learn to follow adult-directed routines, attend to and eventually learn to play beside and with other children, and to begin some of that early preacademic stuff that you don’t necessarily need preschool to learn, but preschool teachers are great at working on any way (colors, #’s & letters, and pre-writing). Those kinds of skills almost always emerge in a good preschool, but you may not get a measurable increase in language unless the teachers are specially trained to facilitate language in children with developmental delays. I am the mom to a terrific 19 month old boy. 🙂 He is currently in intervention for his fine gross motor skills. His speech isn’t great, but he has between 15-20 words now and only had 3 at 15 months. He’s showing improvement, but he’s still not were I’d like to see him. He did not qualify for speech intervention when he was tested at 17 months, but I have him on a waiting list for private speech. My bigger concern with him is the lack of pointing. He does show joint attention, but not enough in my opinion. I thought that his receptive language was pretty good as he seems to understand most commands at least and will follow through. Such as throw this in the garabage…it’s time for a bath (goes to the stairs)etc. We’ve been told by the neurologist and the pediatrician that they do not think he has autism. The Early Intervention team said they are concerned about the lack of pointing, but they are not comfortable with saying ASD either. It’s not so much that I want him labeled as much as it is that I want to make sure we are doing all the best things to get him to where he should be. The rest of the “red flag” list for autism just doesn’t sound like him. Could the lack of pointing just be a language delay? Is that something we can teach him? I ordered your teach me to talk dvd last night, but I am not wondering about the obey and learn dvd. He makes good eye contact. Will bring things to me when asked to do so. Is pretty good with pretend play. Will want to share his food with me while eating. Seems to be making progress in learning words and then using them on his own. (i.e. will go to the oven while I am cooking and say “hot” or will pull out the pots and pans and saying “cook” before he starts playing with them, stirring, etc. He’s very affectionate. Usually responds to his name. However, if I ask him where is daddy…he might go find him, he might look at him, but he would not point to him. We’ve seen him point to one or two things in a book and once at the window and said car, but I know in my gut something is off. Help!! 😉 Thanks!! Patti – Thanks for your question. I like it so much that Kate and I are going to answer this on my podcast tomorrow on May 13, so listen in live or later for our more detailed answers. I do have a question for you – is he using other gestures such as waving bye-bye, pushing you away or holding up his hands to protest, clapping, holding his hands up to be picked up and out as if asking “Where” when he’s looking for something, covering eyes for peekaboo, doing hand motions with songs, or signing anything? If he’s not doing any of those, it could be that his fine motor/gross motor delays are causing him not to gesture either. What do his OT and PT say about this? Have you asked them their opinions? He does many of those gestures, but not all of them and not alway consistently. He waves bye-bye, but not always. He will push away to protest, clap, and hold his hands up to be picked up. He doesn’t use a gesture to ask where. He will cover his eyes for peakaboo, but not with his hands more often with a blanket or clothing item. He will play patty cake and even grab my hands to continue to play if I stop. He is starting to do hand motions with wheels on the bus. The OT told my husband today that she doesn’t think the needs to have private OT over the summer. She has also been impressed that he does what she asks pretty consistently and she said he remembers from week to week. Thanks again! I’ll be sure to check out the podcast!! I forgot to mention that Sean signs “more” and he did “eat” for the first time today. Although he did it to my mouth instead of his own which I thought might be odd. I heard in one of your podcasts to really work on the gestures and signs which I believe you said are skills that come before pointing. Not sure if you’ll see this, but I was so excited to listen to the podcast and hear that you read my question on the air. I wanted to scream at the radio to try to answer your questions. I so wish I could have called in live and discussed Sean. I am an elementary teacher and will be off for summer vacation soon. Hopefully I can call in soon as I’d love to talk to you both. The good news of late is that I have had Sean on a waiting list for private speech. I hadn’t heard anything, so I called on Friday and they bumped him up the list and he starts Thursday. Apparently people ahead of him hadn’t returned multiple messages, so by my calling he gets in sooner. It works for me! I just don’t know what it is with Sean. We were at Target the other day and he got excited to see a little girl in a nearby cart. I told him to say hi to her and he first waved and then blew her a kiss. Yesterday, we were around a little girl that looked to be close to his age and she was waving away at him and he could care less. He does gesture…clap, wave (sometimes), shake his head no and yes (sometimes seems to be with the right purpose and other times not), puts his arms up for up, will sign more, but not always. He seems to “perform” better at intervention than he will for us at home. According to my husband (he takes him), Sean does just about everything they ask him to do at intervention. They think speech would be a good idea, but OT and PT isn’t needed over summer. Sometimes I think his joint attention is pretty good, but at other times I think it’s not. Same with his receptive language. He understands and will follow through with many commands, will pull his favorite books off of his bookshelf if I tell him a specific title, which is loaded with books. He’s starting to gesture during wheels on the bus, but interestingly enough when he beeps my nose during it he uses his thumb and not his index finger. He does the same thing while pointing to items in a book. I LOVE this site, your podcasts, and the first dvd we bought. We are waiting for Learn and Obey I to arrive. The no pointing and inconsistent joint attention concerns me. I do have a couple of questions for you. I am wondering what if any role enlarged adenoids might play in speech development. I really think I should take Sean to see the ENT, but my pediatrician doesn’t think it’s necessary. He has been a loud snorer since he was very young, he’s had three colds/sinus infections over the last 6 weeks and he’s always pulling on/poking at his one ear. We’ve had his hearing tested and it’s fine. My mom told me that all 5 of her kids needed our adenoids and tonsils out young. Can better joint attention be taught? He does show some, but I do know what a big red flag that is for ASD. He will do something naughty or something funny and he makes sure he gets our attention. We have that eye contact that is definitely communication. However, he’s never been one to really show us things or share unless we ask. If we ask him to he’ll bring a toy over and share it with us. He answers to his name at least 50-75% of the time, unless he’s really engrossed in something. ADD/HD runs high in my family and I am wondering if that could play into anything. I also wonder about apraxia. He says “on” nnnnnnnnnnnnn and “off” as just a short o. I know that is what he means because he says it consistently for the action on his own. He also has had a few occasions in which he was trying to say a word and nearly gagged himself trying to get his mouth and tongue to work. He doesn’t like to bite down with his front teeth so we have to cut everything bite size. He also will only drink from a soft tipped sippy, not hard. He will pile in the food so we really have to watch how much he puts in his mouth. As you can see I am full of questions…the poor SLP doesn’t know what’s coming his/her way this Thursday! Thanks for “listening” and for all the help you’ve already given me. This site has been a Godsend for me and I’ve already told many people about it. Patti – Thanks so much for your reply. Kate and I wish you could’ve called in too! I’m glad you’re getting in to see someone this week, and I hope you can go to the appt too, even if you have to call in sick to get a day off to go! I hope you can ask your PT and OT about motor planning BEFORE you go see the new SLP since a child who has motor planning issues in play is likely going to have verbal motor planning issues too. Yes – joint attention can be encouraged, especially through social games. I can’t remember from your posts how reactive he is during little games and songs with you. Once kids start initiating these little games, they initiate more with toys and have better joint attention. I am almost finished with my new project, a how-to manual for parents, and we’ll be talking about this on upcoming shows, so tune in for that info! I’ll be waiting to hear what your SLP thinks. Keep us informed and I hope you can call in to the show the first Thursday you’re out for summer break! Thanks so much! I have a 32month old daughter who is simply wonderful. She had some speech delay and at 25months, we got involved with the “Early Intervention” and she has made significant strides. At 25months, she only was saying “Daddy” and “Hi” and now she has over 500 words and can even read some phrases (at least 50 to include; elephant, sleeping, monkeyy…e.t.c) She is also using some simple sentences and can ask for what her basic needs her. She sings most of the nusery ryhmes and her teacher has been very impressed with her. She has been doing so well that she only sees her about once a month or so.. Well, last week, we decided to have a speech therapist come out and test her out and she did really well on her speech, cognitive but for the receptive language, she is still scoring at 22months. The therapist showed her a number of pictures and asked her questions like: What do we cut paper with?, What do we do with a cup? Show me mommy’s shirt, “Give me a block and put some over there”….. Anyway, she couuldn’t do any of those because I don’t think she understands what she was asked. She definitely will say to me, “Mommy, I want a drink” but can’t answer what we do with a cup. Also, if you ask her simple questions, she doesn’t answer “yes or no” but can express a need. Does this make sense. Which of your DVD will you recommend for this.. She is very eager to learn, knows her ABCs, 1-20 and like I said can read. She just started preschool and I was told she is quite stubborn there too, but I think it is because she doesn’t understand. Please let me know which DVD we can buy to help us understand what is going on. Thanks for your help in advance. How do I know if my 4-year-old needs “talk” or “listen and obey” ? My son is 28 months old and he had a mild case of spd and went to OT since he was one and now doesn’t need to go anymore! But his talking to me seems a bit delayed still.. he is pretty good at understanding now..and he will say A LOT of words..but just one at a time. He can say anything as long as its one word.. the only time he combines 2 words is with commands “take this, grab this, open this”. Any idea if any of these will be helpful with him trying to combine more words? Thanks! Dear Laura, i found your website recently and i’m so thankful for all you do. My daughter is 27mths and has a speech delay so i’d like to order some cds but dont know which to order. She was evaluated last week and was put at 23mths for expressive language but she doesnt have ‘functional words’. (whatever that means) but was put at 14mths for receptive language. Her case manager says the discrepancy between the two is too much and would like to have her reevaluated. 1) she has about 50 words and only just started putting 2 words together e.g thank you, i sorry, whats it/whats this,i love you, what happened most of which are not original but repeating what she hears. I barely understand 50% of what she says. 2) She’s very stubborn- doing only what she wants which i think contributed to her low score of receptive language during evaluation. She Demonstrates developmental and receptive language skills below the 24 month level. She Gets “lost” when trying to follow more complicated commands or wont even carry out any (even things she can do) except she wants to. She May understand basic directions, but won’t follow through with what you’ve asked her to do. Pls help recommend the appropriate dvd/resources to help her as i feel bad, embarrased and jealous when she’s around her peers and she’s just blabbing away whan they are already talking in sentences. Hi Bimbola. The pattern you’re describing is atypical development, and although I haven’t seen your daughter to know what’s going on, I would be very concerned. If she is engaged and social with other people, and you’ve given some good examples of that, then you’re probably not looking at autism, although much of what you’re describing are red flags for autism. However, without seeing her, I certainly can’t make any judgments about what is or isn’t part of her specific language disorder. I would be highly reluctant to blame this huge receptive language discrepancy on being stubborn. It’s very likely a real disorder, and you’ll need to address it as such so that she can make progress. I’d direct much of your focus to helping her understand more language – and you won’t know that until she’s following more directions on request. The DVDs Teach Me To Listen and Obey 1 & 2 will help you learn to do this at home. If she is exhibiting an auditory processing issue (and this is what it sounds like to me), these strategies will be developmentally appropriate for her. Since she is talking but doesn’t USE her language yet, I’d also recommend Teach Me To Talk: The DVD. You’ll need to teach her words to make requests, not just comment or use words/phrases in an “echolalic” fashion as you’ve reported. What is the relationship between ASD and CAPD ? Reason I ask is that we have a 23month old that is really struggling with receptive language and although it is improving and we have just started ST and OT, there seems a lot of grey area. He is sociable and smiles all the time, though very independent. Most people we have seen exclude autism, yet there are few red flags which can be read as ‘on the spectrum’, hand flapping and repetitive behavior with auditory toys are two of them. If you have any comment that would be interesting.